At F2 Labs, our IP testing chambers are constantly filled with projects undergoing testing to IEC 60529. Since I work in the sales department at F2 Labs I field a lot of questions, every day, about IP testing, what it is, what we look for after the testing, and how the ratings work. This article will focus on these topics. IP stands for ingress protection and tests the ability of your product to withstand everything from finger tips to a high pressure jet of high temperature water. The testing is by enclosure and your product does not have to be populated with the electronics in order to undergo the testing. However, it can be populated and we can test the functionality of the product, before and after the testing, by request. You have probably noticed that there are two numbers usually displayed in an IP rating, for instance: IP65. The first number is for the ingress of solid foreign objects. This can be anything from finger tips to dust in a chamber. The second number is the water test. The tests corresponding to the individual ratings for solid foreign objects are below. I walked out to our lab and took a photograph of our IP probes for the IP1X – IP4X tests. Please see below, from left to right, IP4X, IP3X, IP2X, IP1X. IP5X and IP6X are different tests and require a higher degree of protection for your enclosure. Both ratings involve your product being placed in an airtight chamber and then subjected to circulating dust (talcum powder) blown over and on the product for hours. That is where the similarity stops. The IP5X test may or may not require the installation of a vacuum barb. That is determined by the category in which your product falls. Category 1 enclosures do require a barb while category 2 enclosures do not require an installed barb for the IP5X test. 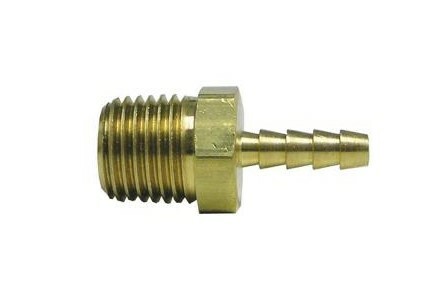 The purpose of the barb is for the lab technician to connect an air hose to your product. That air hose is connected to a vacuum pump on the other end, outside the chamber, and we will try to draw air into the enclosure, pulling dust with it. Dust may enter the enclosure during the IP5X test but in order to pass there may be no dust on any conductive surface. How are the categories defined? Category 1 enclosures are enclosures which may heat up during operation (for example: if electronic components are inside). Category 2 enclosures do not experience a temperature change. I mentioned above that the similarity between the IP 5X and IP6X testing stopped at the dust chamber. That is because the IP6X test requires a vacuum barb and makes no distinction between category 1 or 2. Most importantly, the IP6X test allows for no dust to enter the enclosure. Simply, if dust is visible anywhere in the enclosure at the conclusion of the testing the product fails. Before we proceed I want to show a picture of a vacuum barb because while everyone knows what they are my experience is that people refer to them differently. Many times I will discuss the vacuum barb issue with the customer and the need to install it. The standard calls for it if your product is an IP5X category 1 enclosure and any time you want an IP6X test. We are an A2LA accredited lab and follow the standard, directly. The test sample must come to us with the barb installed unless previously agreed upon. 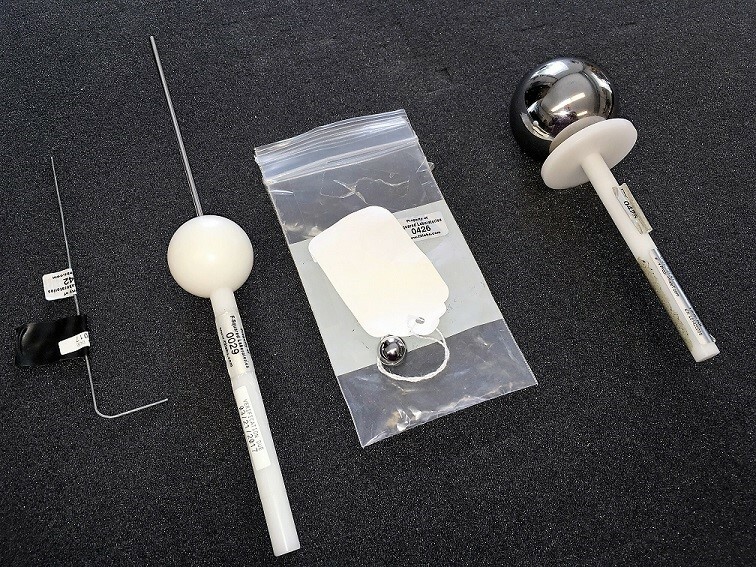 We can install the barb in your product for an additional fee but it is best for the manufacturer to provide the test sample to us in a state that is ready to immediately undergo the testing. The second part of the testing is for the intrusion of water. The passing criteria for the water test is the same for all nine water tests: broadly, no water can settle on any conductive surfaces. We carefully open the product following the testing and take clear photographs throughout. We will see if water has entered your enclosure and determine the impact to your product. Our techs are extremely careful when opening the product because water can settle at the bottom and unless there are live wires or boards at the bottom, in water, your product may still pass the testing. The tests listed above are self-explanatory but the IPX7, IPX8, and IPX9 testing merit further discussion. IPX7 calls for your product to be immersed in a water tank for 30 minutes. The depth depends upon the enclosure size. Enclosures with a height less than 850 mm must have the lowest point of the enclosure 1,000 mm below the surface. For enclosures with a height equal to or greater than 850 mm the top of the enclosure must be 150 mm below the water surface. Note that the enclosure is measured in its working position and is situated in the tank in its working position as well. The IPX8 test is the same as the IPX7 test except the depth and or duration of the testing is by agreement between the manufacturer and the testing laboratory. The testing must be more severe than the IPX7 testing. For instance, an IPX8 test for an enclosure may be for 35 minutes instead of 30 minutes and the depth may be the same as is called for in the IPX7 test. Or, the testing may be for 30 minutes but the depth for a product that is less than 850 mm may be 1,050 mm during the testing. We have performed testing at greater depths and for much longer periods of time. Let us know what you want – we creatively determine solutions on a daily basis. IPX9 testing is the most strenuous of all. It requires that your product is sprayed with a high pressure stream of water (8,000 to 10,000 kPa) heated to 80° C. This testing is done at multiple angles (30 second dwell per position) on a turn table in our water chamber. 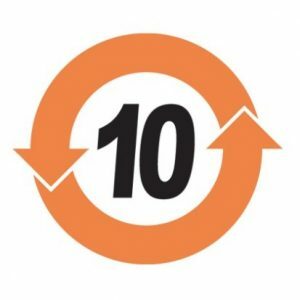 One question which is frequently asked by new customers is whether or not each test must be passed in succession in order to achieve a rating. For instance, to attain IP65 status does the product need to pass IP1X, IP2X, IP3X, IP4X, IP5X, IPX1, IPX2, IPX3, IPX4? The answer is no. In fact, passing IP65 allows the claim of all IP ratings below IP65. This question then, many times, leads to a discussion regarding how to plan this testing, since the manufacturer may not be confident regarding the ability of the product to pass. Some manufacturers ask us to start with lower tests and work up to the desired rating while others work from the toughest test and down. This is the decision of the manufacturer. I hope this article has been helpful and we are at your service if you have additional questions or want to schedule IEC 60529 IP testing for your products. Have a question or a comment? We can be contacted via this link. We can be reached by phone at 855-652-7281 and are here to help you. Recently the F2 Labs sales department was presented with a question from a call-in customer who wanted to know about the requirements from the FCC to label equipment. Specifically, she asked about e-labelling. She relayed that the FCC’s rules regarding this are not very clear. “(d) In order to validate the grant of equipment authorization, the nameplate or label shall be permanently affixed to the equipment and shall be readily visible to the purchaser at the time of purchase. (1) As used here, permanently affixed means that the required nameplate data is etched, engraved, stamped, indelibly printed, or otherwise permanently marked on a permanently attached part of the equipment enclosure. 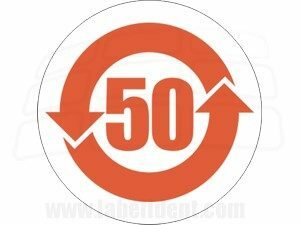 Alternatively, the required information may be permanently marked on a nameplate of metal, plastic, or other material fastened to the equipment enclosure by welding, riveting, etc., or with a permanent adhesive. Such a nameplate must be able to last the expected lifetime of the equipment in the environment in which the equipment will be operated and must not be readily detachable. (2) As used here, readily visible means that the nameplate or nameplate data must be visible from the outside of the equipment enclosure. It is preferable that it be visible at all times during normal installation or use, but this is not a prerequisite for grant of equipment authorization. (e) A software defined radio may be equipped with a means such as a user display screen to display the FCC identification number normally contained in the nameplate or label. The information must be readily accessible, and the user manual must describe how to access the electronic display. So in order for the display screen clause to be used, it has to be a software defined radio, and it must be on the actual equipment and not show up on the cell phone that is accessing it. This question is one of the reasons we started our blog. 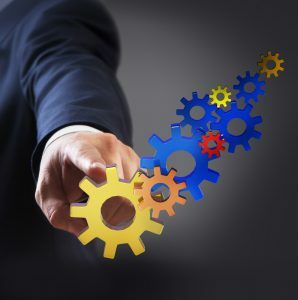 There are so many rules for manufacturers that identifying what your responsibilities are as pertains to the many rules that could apply can be a daunting task. We are making an effort to note some of these questions and offer guidance on our blog. The Pressure Equipment Directive 97/23/EC was recast in 2014 and the new Pressure Equipment Directive 2014/68/EU replaced the old “PED” on July 19, 2016. This revision to the Pressure Equipment Directive was part of the New Legislative Framework and was part of the EU’s effort to coordinate the requirements of different Directives – for example, declarations of conformity now all have the same format. We notified our customers regarding the updated Directives for which we provide technical support and services. Most of the recast Directives make no new technical requirements and the new PED makes no changes to the requirements or the classification tables in Annex II. One thing that did change is the classification of the fluid group. The way these fluids are classified is now governed by Regulation (EC) No. 1272/2008. I say “now” because that became effective in June 2015 and did not wait for the new PED to take effect. Although the PED applies to any pressure equipment or assembly with a maximum allowable pressure greater than .5 bar, there are generous exclusions. We will look at a couple of them in this post. Wait, did I just write that the PED applies to anything with a pressure greater than .5 bar? That’s only 7 psi! Yes – .5 bar… and keep in mind that if your product is within the scope of the PED, and the pressures are above category I limits, then you MUST work with a Notified Body to claim conformity. All paths through the available conformity modules for equipment above category I pass through a Notified Body. However, there are many circumstances where you can calculate or justify your way out of applying Annex I of the Pressure Equipment Directive to your product. The CETOP Position Papers are a good starting point for hydraulic equipment used in assemblies and machines. The European Fluid Power Committee, or “CETOP,” published two position papers elaborating their position regarding the PED and the Machinery Directive 2006/42/EC. The position papers demonstrate exclusions to the PED in favor of the Machinery Directive and clarify other inclusions of hydraulic and pneumatic equipment within the scope of the PED. These position papers were written with the PED 97/23/EC in hand so we will refer to that, although the references are shuffled in the new PED 2014/68/EU. It is within the scope of any of the following Directives: Machinery, Low Voltage, Lifts, Medical Devices, Gas Appliances, or ATEX. *Note that in the PED, DN is outside thread diameter in millimeter and PS is pressure in bar. 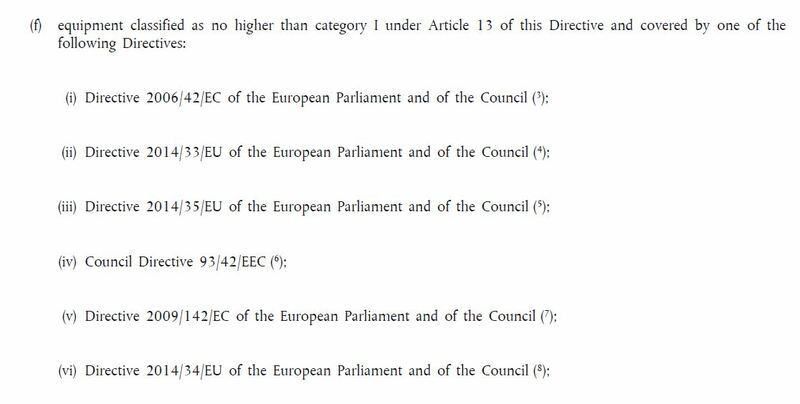 Broadly, Article 1 (3.6) means that if the equipment is below “category 1” levels (which are indicated in Annex II of the Directive) and the equipment is within the scope of one of the other indicated Directives then the equipment is totally excluded from the Pressure Equipment Directive… the PED can be ignored in these cases. There are other exclusions to the PED within the Directive. We will address more next week in a new post. There are two commonly used markings on equipment that are very similar in appearance but mean different things. The CE marking is a European compliance marking and indicates compliance to all applicable European CE marking Directives (like the Machinery Directive 2006/42/EC and the EMC Directive 2014/30/EU). This marking is placed on equipment by the manufacturer prior to placing in service in Europe. It does not refer specifically to export, instead it refers to the compliance of the equipment to applicable European laws. 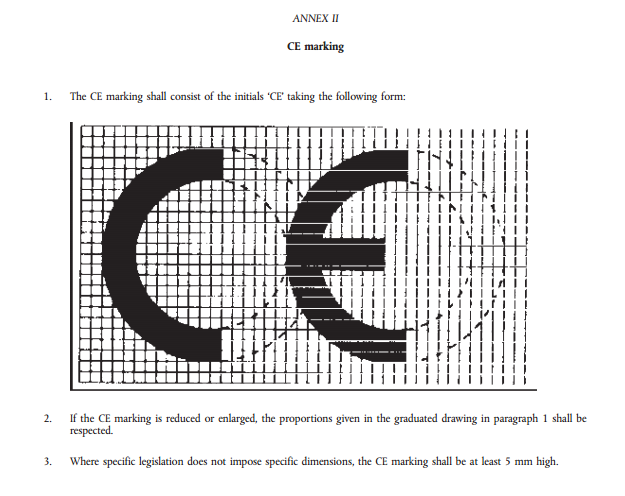 The CE marking is specified for all CE marking Directives in the EU’s NLF framework regulation, 765/2008/EC, Annex II, and is below. Some Chinese products, manufactured in and exported from China, are designated with a similar marking. At first glance it looks identical, please see below. This appears to be a CE marking. It’s not. 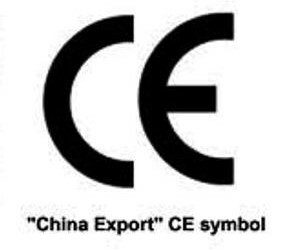 Some research into this matter has uncovered that not only is it not a CE marking but it is also not a “China Export” mark. There is no official “China Export” mark, It is fake, applied by unaccountable factories in China and is meant to put products on the market that have not had any type of safety evaluation, risk assessment, or testing. It is illegal. See below both markings side-by-side for comparison. The European Parliament made a statement regarding this in 2008 and it is linked here. Keep in mind that if you are building products for export to the EU it is you who will be responsible for the product’s compliance. That includes sub-assemblies and components with a false CE marking. A constructional review involving EN 60204-1, EN 61010-1, etc. will uncover these issues… before you build your products for sale. Manufacturers of LED lighting sometimes assume that they are subject to FCC Part 18 requirements for lighting since LED’s are lights. Apparently this approach is so widespread that on June 17, 2016 the FCC posted clarification online that most LED lighting is in fact subject to FCC Part 15 requirements and not Part 18 requirements. LED lighting is designed so that it emits RF and is subject to FCC requirements, as stated. However, as detailed at the linked document, different LED products are subject to different FCC requirements. The FCC document states that lighting products for, “general illumination, traffic signaling, roadway lighting, manufacturing processes, agriculture, etc.,” are classified as unintentional radiators and must meet limits specified in section 15.107 and section 15.109 of Part 15. The link for this FCC post is here and the link for the actual guidance available on the page is here. We have linked the FCC Part 15 requirements – FCC Part 15. Also linked are the FCC Part 18 requirements – FCC Part 18. Article 19 of 2014/30/EU specifies what is and is not required for EMC compliance for fixed installations. Mainly we see that Annex I (1.) General requirements are not applicable and that the requirements from Annex I (2.) are, and they are much more lax: “good engineering practices”. This is in stark contrast to the requirements in Annex I (1.). Of course it would be easier to comply with Annex I (2.) instead of Annex I (1.). That “easier” compliance method coupled with the definition of a fixed installation listed in Article 3 (1.) (3.) leads some to believe that their industrial machine can benefit from the fixed installation “good engineering” practices. Unfortunately, it can’t. One would think that a big, industrial machine which ships in pieces and is installed by professionals, and bolted to the floor is, “fixed,” but that is not what it means. To understand what is, we look to the guidance documents published by the European Commission in support of the law. This guidance document references the now-expired EMC Directive 2004/108/EC: as of today there is no official guidance document for 2014/30/EU. This suggests that a fixed installation is not only “fixed” but also, very large. As a result, industrial machines which are bolted to the floor are not considered “fixed installations” in the EMC Directive and do not benefit from the exclusion. Entire structures are considered as “fixed installations” but the equipment installed in it is not. This makes sense when you consider that it would be very difficult to proclaim an entire facility as compliant to the EMC Directive 2014/30/EU because testing the entire facility as one unit would be impossible. The component assemblies (i.e., the machinery and systems in it) can be tested. Have a question or a comment? We can be contacted via this link. We can be reached by phone at 855-652-7281 and are here to help you. you. The understanding of many CE marking Directives is enhanced oftentimes by comparing a specific product to the recitals, articles, and annexes of the Directive and a detailed reading of the accompanying guidance document that is usually available to read alongside the law. 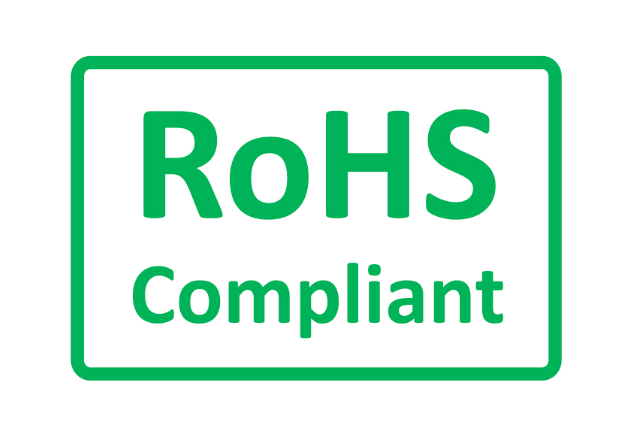 The Restriction of Hazardous Substances (RoHS) Directive 2011/65/EU and the RoHS 2 FAQ is an example of this. 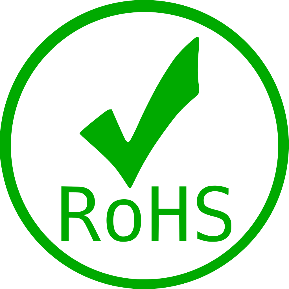 RoHS excludes certain equipment from the scope of applicability in Article 2. We will look in particular, today, at the Article 2 (4) (j) exclusion – Research and Development Equipment made only available business to business. On its face it would appear that equipment as describe above is categorically excluded from the Directive. That would be good news if you are a manufacturer of a product like, for instance – an electron microscope marketed solely for professional use. The exclusion is not available for electron microscopes or other equipment similarly described. This is uncovered by reading the RoHS 2 FAQ guidance document, published alongside the Directive on the European Commission page for the Environment. Section 4 of the FAQ reveals detailed guidance, see below. 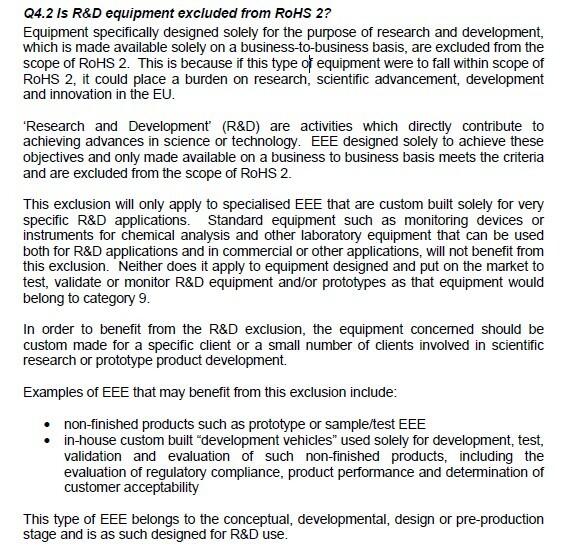 We note the reference to “custom built solely for very specific R&D applications.” This means that the exclusion is not available to equipment built for sale to whoever can use it. A good rule of thumb would be that if you are offering this for sale on your website to whoever wants it, you probably cannot benefit from Article 2 (4) (j). The equipment meant to benefit from this exclusion is equipment designed and assembled for one specific task and then, at the conclusion of the activity, disassembled or mothballed. Have a question or a comment? We can be contacted via this link. We can be reached by phone at 855-652-7281 and are here to help you.u. 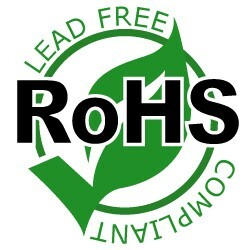 The RoHS Directive 2011/65/EU, or ‘RoHS2’ as it is sometimes called, is a CE marking Directive and is a European law. 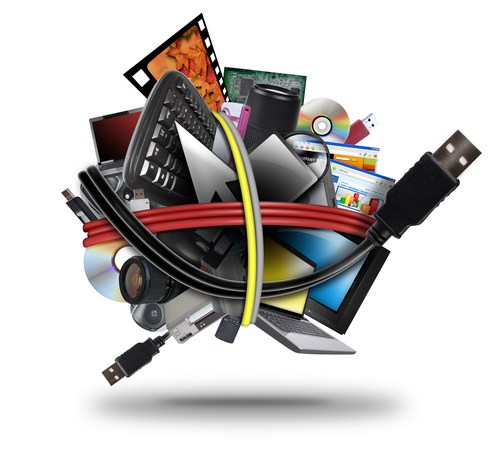 The various RoHS markings seen on different pieces of equipment, while not illegal and possibly informative, have no legal meaning or standing. 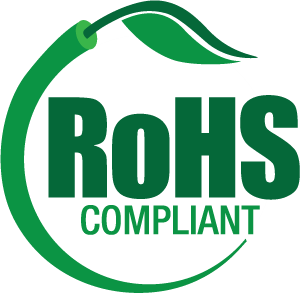 The RoHS Directive is a CE marking Directive. This means that equipment within its scope must carry a CE marking if it is offered for sale or placed on the market in the EU. The CE marking is applied by the manufacturer (or Authorized Representative, if mandated) on the product. All CE marking Directives either indicate the parameters for the marking or direct the reader to Annex II of Regulation no. 765/2008/EC. Regulation no. 765/2008/EC is one of three documents that outline the EU’s New Legislative Framework of 2008. The purpose of which was, “To improve the Internal Market for goods and strengthen the conditions for placing a wide range of products on the EU Market,…”. 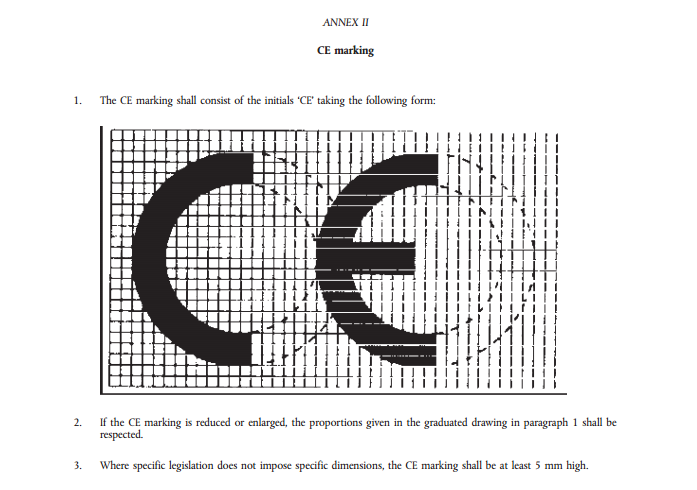 All CE marking Directives also require that the product has a unique, traceable declaration of conformity. The declaration of conformity is mandated in Article 5 of Decision no. 768/2008/EC and detailed in each of the CE marking Directives. (768/2008/EC is one of the three documents that make up the New Legislative Framework). The declaration of conformity is a piece of paper that indicates information about the manufacturer and product, lists all of the applicable CE marking Directives, harmonized EN standards applied to prove conformity, and a statement that the product is in compliance and that the manufacturer (or Authorized Representative) takes responsibility for the compliance. 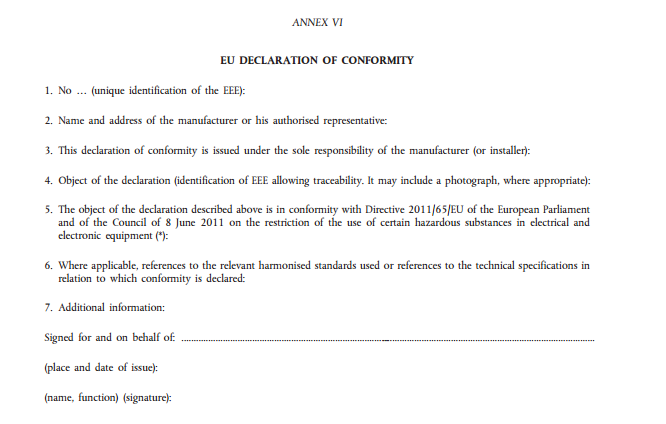 The RoHS Directive 2011/65/EU lists the declaration of conformity requirements in Annex VI. These markings are not illegal, but please note they hold no legal relevance. The only legal marking, as pertains to RoHS and all CE marking Directives, is the CE marking. The CE marking on your product indicates that your product complies with all applicable CE marking Directives. That means your product must comply with any Directive that includes your product within its scope – and the relevant Directives must be indicated on the declaration of conformity for the product. Your signature on the document is your legal claim that it does, and you may be pressed to prove this in a court in the EU, if challenged. However, please note that Chinese RoHS is not equivalent to European RoHS compliance to 2011/65/EU. Previously we discussed some of the legal questions about compliance to either the Machinery Directive 2006/42/EC or the Low Voltage Directive 2014/35/EU. This one question has led to many discussions at F2. Usually it starts with, “well, does a cooling fan on a computer mean that a computer is a machine?” And it’s all down hill from there. We have an overview of the Machinery Directive for review on our site. Sometimes though it is helpful to read straight from the Directive itself. Let’s take a closer look. The Machinery Directive 2006/42/EC lists the scope of applicability in Article 1. See below. 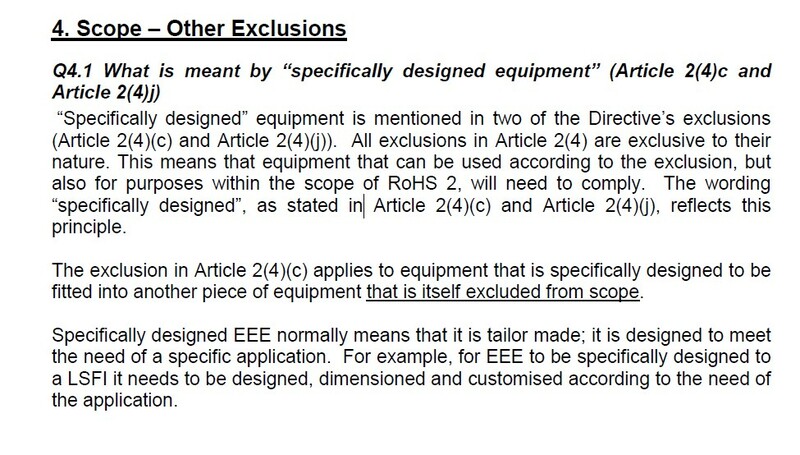 And in Article 1 (2) it lists equipment which is excluded from its scope. The reference to 73/23/EEC is a reference to the Low Voltage Directive that was law when the Machinery Directive was first published, back in 2006. By law, that reference is applicable to the currently valid Low Voltage Directive, which is the Low Voltage Directive 2014/35/EU. … but also falls into the categories set out in Article 1 (2) (k) can claim compliance to the Low Voltage Directive 2014/35/EU and not the Machinery Directive 2006/42/EC. This would be beneficial, immediately, because then the manufacturer would not need to add a European address on the EU declaration of conformity. It also means that a manufacturer will comply with Annex I from the Low Voltage Directive and not Annex I from the Machinery Directive, which is much longer and more detailed. It also means that less EN standards will be involved in the compliance process. In short, an evaluation to the Low Voltage Directive is preferable to an evaluation to the Machinery Directive. Note, however, that you cannot just select the Low Voltage Directive if a product ‘could’ be used in the household or in an office. The product has to be specifically dedicated for the use(s) indicated in Article 1 (2) (k). To better understand this, we will review what the writers of the Machinery Directive clarified in the Guide to application of the Machinery Directive 2006/42/EC. Section 63 of the Guide indicates basic interpretive guidance. Then it goes into much greater detail regarding each of the previously referenced available exclusions. It is illuminating to read all of the sections but we will focus on section 64. Notice that the product must be intended for domestic (household) use. Clearly this means that you cannot twist the exclusion to benefit a machine that could be used in the home. It must be intended for home use. Additionally, please read the last paragraph. This makes it clear that the Market Surveillance Authorities have the option to review product brochures, your website, the manual, etc to glean the intended use for the product. In practical application this means that if your product is a commercial floor cleaner, marketed for commercial use – you cannot eliminate the Machinery Directive 2006/42/EC from your compliance path and claim it is a household product because it may be used in the home. Machinery Directive or the Low Voltage Directive… which one? The Machinery Directive and the Low Voltage Directive: how do I know which one? 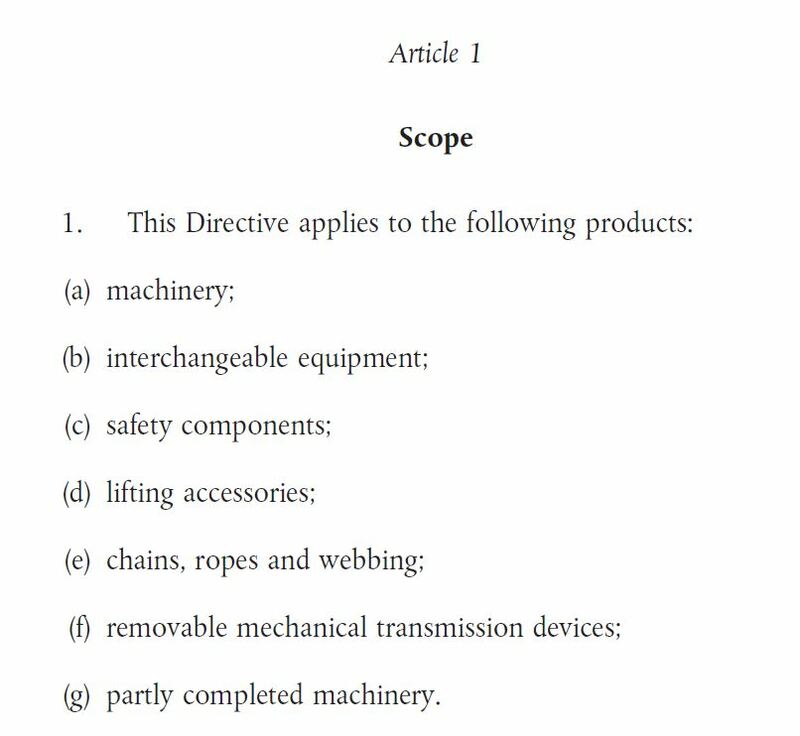 Below is Article 1 of the Machinery Directive. Of course, there is broad room for overlap between these two Directives because most machinery operates at voltages within the scope of the Low Voltage Directive. The Machinery Directive addresses this specifically in Annex I, Essential Health and Safety Requirements (1.5.1.). Regarding section 1.5.1. from the Machinery Directive, we note that 73/23/EEC refers to the Low Voltage Directive 73/23/EEC, before it was the Low Voltage Directive 2006/95/EC and before that became the current Low Voltage Directive 2014/35/EU. By law, 1.5.1. refers to the currently applicable Low Voltage Directive. 1.5.1. is saying that your equipment must comply with the technical (i.e., safety) requirements from Annex I of the Low Voltage Directive but in the same section it is telling you that your equipment is excluded from the Low Voltage Directive… the documentation and legal requirements: because the Machinery Directive is applicable. In plain English: The Machinery Directive is fully applicable and you will indicate it on the declaration of conformity. The Machinery Directive has also “rolled in” the safety requirements of the Low Voltage Directive (2006/42/EC, Annex I, 1.5.1.) while at the same time excluding the Low Voltage Directive – so you will not include any reference to the Low Voltage Directive on the declaration of conformity. In fact, it is incorrect to list the Machinery Directive AND the Low Voltage Directive on your declarations of conformity. We are not finished with addressing this issue. Our next post will focus on the Machinery Directive 2006/42/EC, Article 1 (2) (k) Low Voltage Directive exclusions. These exclusions are for products which technically meet the 2006/42/EC, Article 1 (1) scope requirements for inclusion in the Machinery Directive but can claim compliance to the Low Voltage Directive instead.